We had recessed lighting installed in our kitchen. Gerry properly placed and ran wires with minimal drywall damage. Very nice work. Thank you. 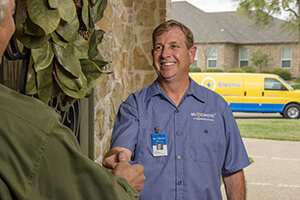 Electricians are knowledgeable, courteous, and efficient. jesse was very prompt, told me exactly what I needed at a very decent price, would highly recommend to anyone needing electric work! prompt. clearly told us what they were going to do, very efficient when working, gave us a thorough review of their work after they were done. Extremely professional, attention to detail. The electrician was incredibly responsive and thorough.